Savvy executives can add value by under-standing how and when social media can be a tool to improve both internal and external communication. No corporate treasury department is an island anymore. 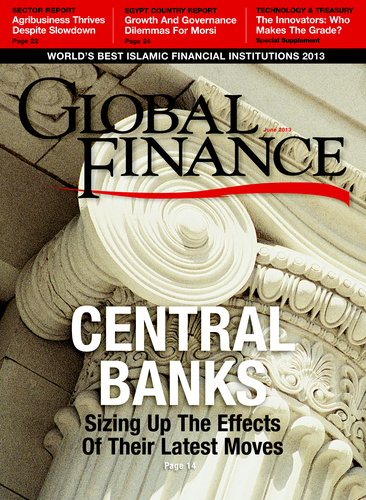 This is particularly evident in the growing role of social media in daily treasury and finance interactions with internal and external stakeholders. 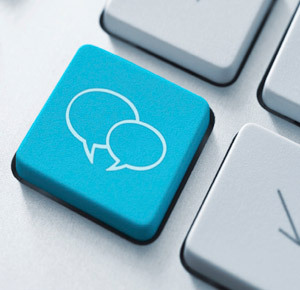 Increasingly, treasury and finance types are participating on platforms such as LinkedIn, Twitter and Facebook and sharing expertise on internal platforms like Jive and Yammer, as companies strive to make use of the communication and collaboration opportunities that social media afford. Adding impetus, the US Securities and Exchange Commission effectively blessed social media as a means of communicating with investors when it issued guidance in April, following an investigation of how Netflix used Twitter to convey material financial information. The SEC noted it would not charge Netflix with any violation of Regulation FD (Fair Disclosure) and made it clear in its guidance that using social media channels like Twitter and Facebook is permissible, as long as the investing public knows to look there. So far, about 10 companies, including Zynga, AutoNation, and, of course, Netflix, have issued 8-K (SEC documentation) listing the social media channels that they may use to convey financial information. At Southwest on earnings day, earnings are tweeted, but just as a link back to the release so that forward-looking language can be referenced. “We’re not creating independent content on quarterly results day, but we’re using social media as a way to increase awareness,” Rutherford said. 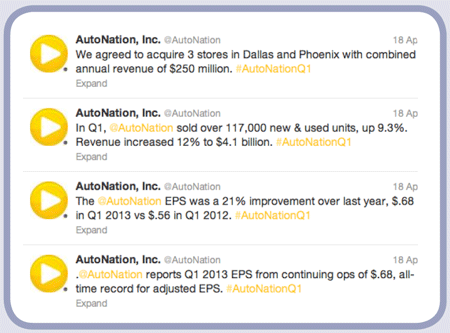 AutoNation, on the other hand, had a unique hashtag and tweeted numerous times on the release of its quarterly results in April. At Aetna, Dan Brostek, head of consumer engagement, counts among his “new best friends” colleagues in IR, legal, compliance, human resources, and IT security, as the insurance giant has been working on social media strategy for about the last year and a half. He says about 80% of his time is spent discussing policies and procedures with these colleagues. Brostek is also working on an internal social business platform, which should be in place this year. “We hope to transform how people work today,” he said. Internal social media platforms can enable treasury and finance to better communicate to the organization as a whole what they do and what they can offer to business units.